Not many had faith that Kirk Cousins could pull it off, but Sunday after trailing at one point 24-0 to the Bucs, the QB turned it around in a big time way. Cousins and the Redskins rallied all day long, and in the end he threw a touchdown pass to Jordan Reed with 24 seconds left, to lead the Redskins past the Tampa Bay Buccaneers 31-30. The QB threw three second-half touchdown passes, and finished 33 for 40 for 317 yards, the three TDs and zero interceptions. He also ran for an 8-yard touchdown in the second quarter for Washington’s first points. 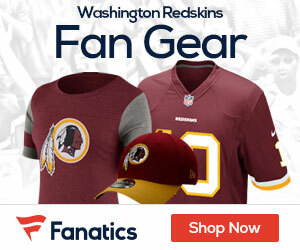 It is the largest deficit overcome by the Redskins (3-4) in a victory. The Bucs built a huge lead thanks to the play of first overall pick Jameis Winston, who was 21 for 29 for 297 yards and two first-half touchdowns. Doug Martin ran for 136 yards on 19 carries for Tampa Bay as they built the quick and early lead. The Redskins began to close the gap, as Cousins scored on a TD run, and then in the third quarter, the portion of games that had been devastating dreadful for Washington this season. The Redskins came into Sunday having been outscored 46-3 in that period. It may have saved his job, as Jay Gruden would have been hard pressed to stay any further with Cousins if the team would have lost to the Bucs. Wonderful to see the greatest comback in REDSKINS history. But let’s not lose sight of who it was against. And more importantly, that the REDSKINS had to pull off this miricle to win in the first place. To me, the team should never have been in the position of being 24 points behind. Yes, players have to make plays, but I still think the head coach and his two assistants are the culprits, not the players. I don’t give the personnel an absolute pass, but I feel they are better than the game-plans they are given to execute. And I think they sense it. It’s easy to cast stones from the cheap seats, but I’ve been a REDSKINS fan for longer than any of these coaches have been alive [67 years]. That said, I was impressed when BARRY finally went to a wide-gap defense for the linemen with backers and safeties filling the gaps on differing plays. Unfortunately, with the last two games as a object lesson, it took until the third quarter for BARRY [or somebody with some sense] to figure out. This adjustment really seemed to give the BUCS fits on offense, at least, at the end of the game. The play-calling is too conservative when the chips are down. And it’s time to take COUSINS’ training wheels off, and let him sink-or-swim with his play. The defense is not quick enough to adapt to the opponent’s offense. I realize injuries have hampered the offense and defense. 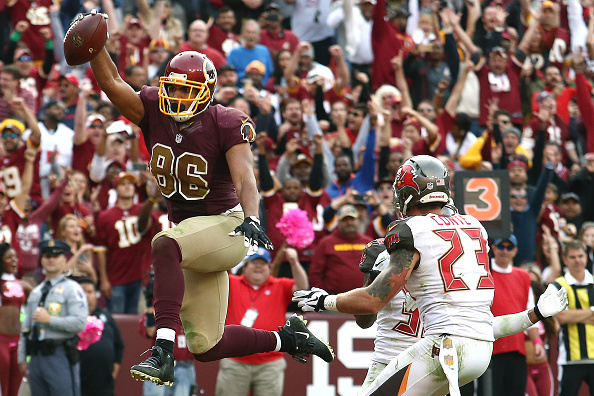 JORDAN REED’s return was essential just at was pointed out by a pundit prior to the game. I still think that the coaches at the top of this team better get their heads out of their collectives before it too late for them. And if I were DAN SNYDER with BRUCE ALLEN in the president’s slot, and SCOTT McCLOUGHAN as GM, I’d be looking for the best up-and-coming coach in the NFL right now. BTW in the coaching department, KOTWICKA, and CALLAHAN are keepers, as are several lesser known lights beneath them. Otherwise, SNYDER should put the rest of the coaching staff on notice…………this ship better do a 180 right now, or else. Unless of course, he already has. Who said that? Oh yeah, I did. Thank you MM. We appear to be on the same page.